Every year has its own unique music trends. These are the most prominent of 2019 so far. With the year well underway, the most popular music trends have become clear. Here are the different currents that are coming to the fore in 2019. Driven in part by the lack of royalties from the streaming market, musicians have doubled down on live performances in recent years, and 2018 has already proven to be no exception. Major artists have lined up sellout tours for the summer. Jay Z and Beyonce are embarking on their second joint stadium tour. Ed Sheeran’s trip down under has already broken records.It’s not just mainstream names who are boosting live music, either. Less well-known artists are selling out venues of their own thanks to dedicated audiences around the world. And music fans are choosing to spend more time than they ever have in live music crowds. Last year there was a 12% rise in concert and festival attendance in the UK. ‘Music tourism’ — which sees fans travelling to different countries or areas to see their favourite acts — is also on the rise. Every year sees a crop of lesser-known artists rise to mainstream attention. Just look at Cardi B in 2017. 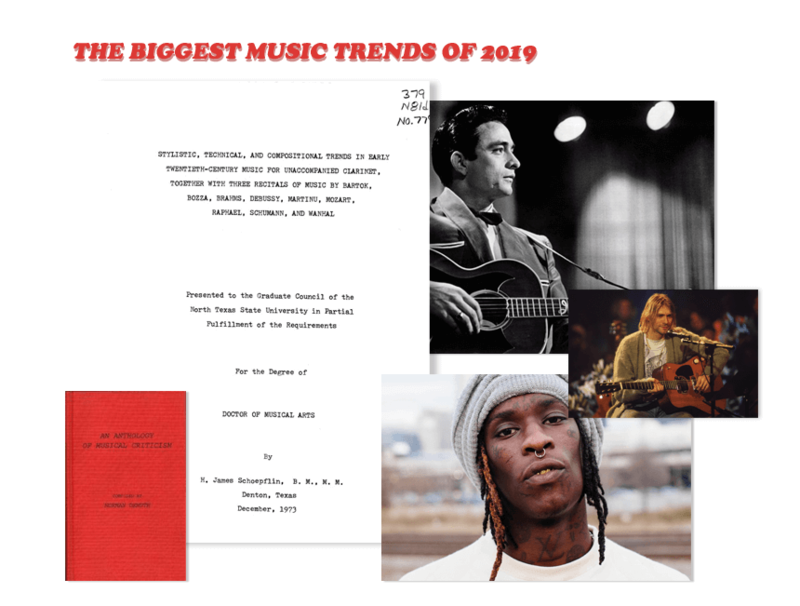 This year, however, there is another reason the trend of new artists breaking through will be more noticeable than ever. The costs of big name talent have skyrocketed, in part thanks to increased attendance at their gigs. As you may have noticed already, this has led many festival promoters to book more niche artists to round out their lineups. It’s also led live music fans to spend more time getting to know new — and thus more affordable — performers.The likely result of this trend will be lesser-known artists gaining new fans, and of course music fans finding their new favourite artists. Taking a chance on more up-and-coming or niche talent has benefits for everyone—-booking agents, promoters, artists and concert-goers alike. Ever since Beyonce sprung her self-titled visual album on fans in 2013, surprise releases have become increasingly commonplace. In years gone by, every new album release would be trailed months in advance with singles, promo tours, advertising campaigns, and much more. Now, thanks in large part to the internet, artists have moved towards releasing new work with little or no prior warning.Some have suggested this trend is winding down, but 2018 has already seen a surprise EP release from The Weeknd, preceded by nothing more than a Shoreditch billboard. Fellow R&B singer Frank Ocean has hinted that an album is on the way this year, but he’s been coy about the date. And even Beyonce herself is rumoured to be working on a new record for release this year. As is the nature with surprise albums, we’ll just have to wait and see if this trend follows through. Behind the scenes of the live music business, smaller venues and promoters are doing everything they can to compete in the big leagues. In the current climate, larger national promoters are moving towards buying out smaller ones, which means the only way for a small promoter or venue to survive is to embrace its uniqueness and independence.Eventbrite lists five ways they are doing this. For venues, knowledge of the local community is a big advantage. As is teaming up independent venues in other territories to help put together tour schedules. As independent venues and promoters team up together, the result for listeners could be more artists touring small and medium venues, again giving fans of up-and-coming or niche artists more of a chance to see them in concert. When vinyl records first made their return, many assumed the comeback was a fad. Years later, the bubble shows no sign of bursting. Vinyl has been outselling CDs for two years now, and as recently as March of this year, it officially outsold digital downloads in the UK.With fans more interested in vinyl than they have been in years, there’s no doubt artists and labels will continue to keep the format alive. To check out the extensive MN2S Rosters ans maybe find this years big blowout star click down below! The Evolution: What Is Mumble Rap?